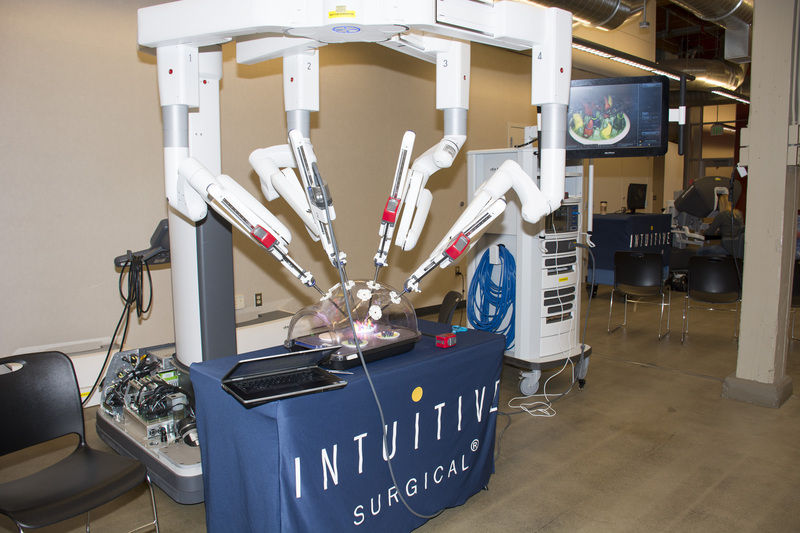 Rockwood Health System brought a da Vinci surgical robot to the WSU Spokane campus last week to show off to students, staff and faculty. 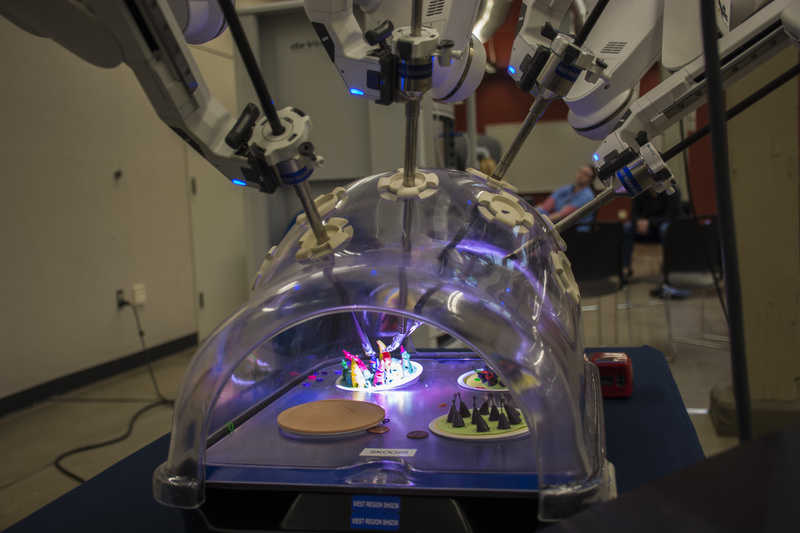 The robot – used by surgeons for abdominal surgeries – allows for a less-invasive approach to surgery. 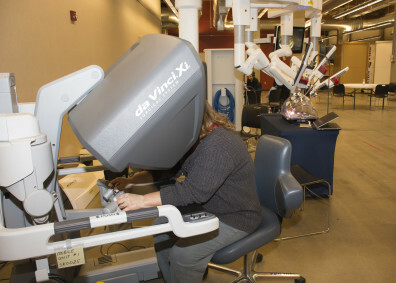 In the da Vinci robot on campus, four probes entered a model that represented an abdomen. 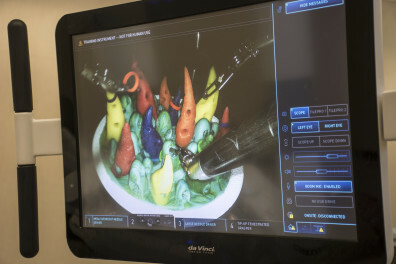 One probe was a camera with a light, while the other three were metal rods that acted as the surgeon’s hands and arms. The surgeon actually sits near a screen away from the patient and uses controls to maneuver the three rods. 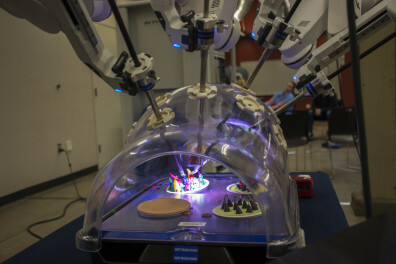 The robot on campus used models that allowed users to understand what the surgeon sees and how the surgeon must maneuver when inside someone’s abdomen. Users could zoom in, switch to a third “arm,” and understand how precise their hands need to be when performing surgery. 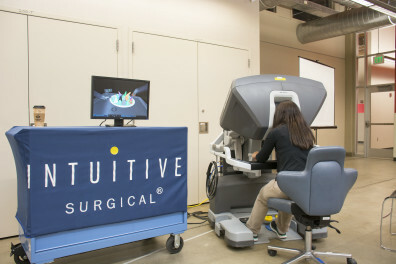 Users also experienced a simulator that surgeons practice one. Before surgeons can use the robot, they must meet certain benchmarks on the simulations. Having the da Vinci robot on campus allowed students to understand what could happen in an operating room. 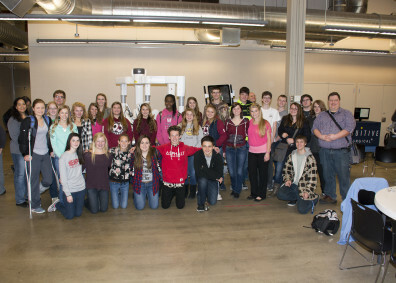 Local high school and community college students also visited the robot. Hands-on experiences like this get people interested in health sciences careers.